It’s been a hectic week with a visit from two of my sisters and my nephew and niece. Then number 2 son arrived back from a holiday in Los Angeles accompanied by two friends so we were full to overflowing. 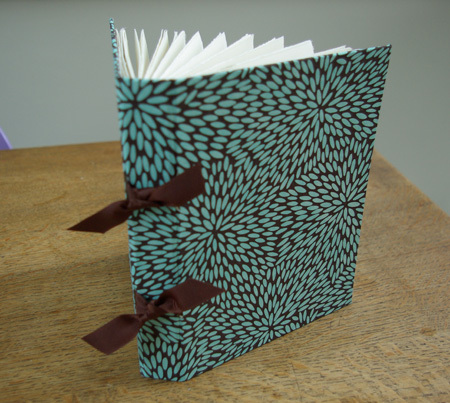 So no time for making books, although the ones I have already made were admired and I have orders for Christmas presents. As soon as they left I got down to work, but my attempts to try a new technique for a sketch book were scuppered when I realised I didn’t have the right bit of kit to punch holes through the covers so I have ordered the tool I need (a wad punch apparently), left that book half finished and gone back to the old tried and tested method. 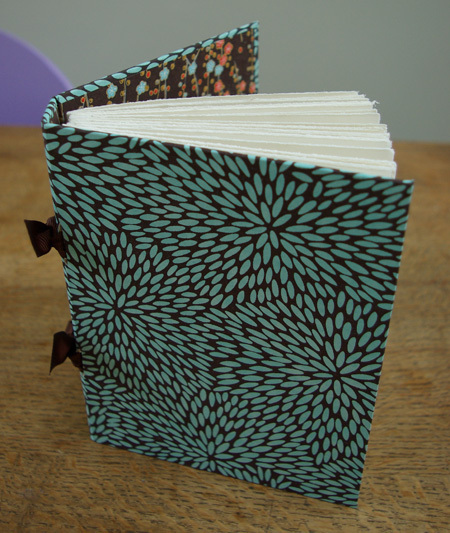 The Japanese Chiyogami papers I used are stunning and I think this is one of my favourite books so far. Although the two papers are highly patterned, it does work. What do you think? Hello……Little sister no 3 here! Just had an exhausting couple of days following my visit to you. Had a fantastic time at Alton Towers. We love your new book but please send us some pics from our stay. Dying to show them to Pat! I LOVE the papers! 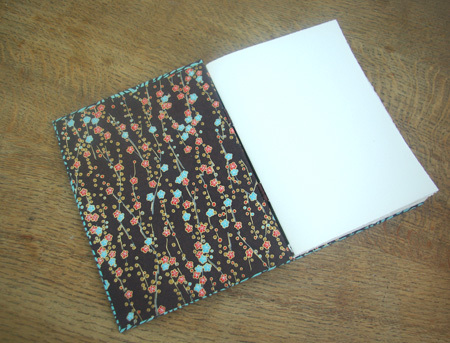 Especially the end papers. Where did you get them? They are from Falkiners in London. I have raved about Falkiners in past posts! They do mail order. Hope you have many orders for Cristmas because you work is really nice! Very cool books, works of art in themselves, you definitely have a great talent! Clara, thank you so much for your support, I really appreciate it. Andy, you are very kind, I’m thrilled you like them! 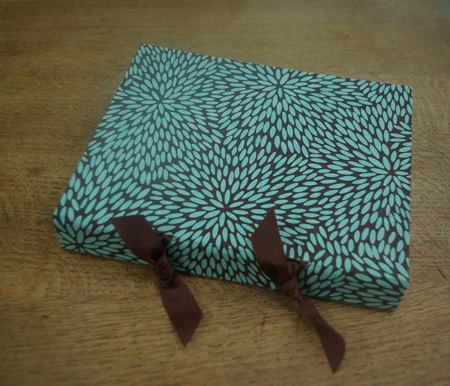 I like the pattern of paper, both inside and cover. Beautiful color too, Nice work. I’m artist, Hope you like mine. I had trouble looking at your web site but found it eventually. (I think that there is a typo in the link) I like your work a lot. It would make beautiful monochrome book covers! Thanks! I am making them as fast as I can, trying to build up a stock for Christmas!